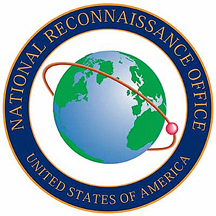 Aerojet Rocketdyne, Inc., a subsidiary of Aerojet Rocketdyne Holdings, Inc. (NYSE:AJRD), successfully supported the launch of a classified payload for the U.S. National Reconnaissance Office. The mission, NROL-52, was launched from Cape Canaveral Air Force Station in Florida aboard a United Launch Alliance (ULA) Atlas V rocket. Aerojet Rocketdyne propulsion systems included the RL10C-1 upper-stage engine, two solid rocket boosters (SRBs), six helium pressurization tanks, and 12 Centaur upper-stage Reaction Control System (RCS) thrusters. Aerojet Rocketdyne’s role in the launch began during liftoff when two SRBs ignited to provide 750,000 pounds of total increased thrust to launch the Atlas V rocket. (Each 67-foot-long, 5-foot-wide composite motor case contains more than 90,000 pounds of propellant, providing more than 375,000 pounds of liftoff thrust.) All Atlas V launches requiring extra boost have flown Aerojet Rocketdyne SRBs. Aerojet Rocketdyne’s RL10C-1 upper-stage engine ignited after separation of the first stage to place the payload into orbit, helped by the Centaur RCS thrusters and pressurization tanks. The RL10C-1 delivers 22,890 pounds of thrust to power the Atlas V upper stage, using cryogenic liquid hydrogen and liquid oxygen propellants.